M. Azizul Huq born in October 16, 1935 in a respectable Muslim family at Kishorgonj, Bangladesh, He completed his Master's in Economics from the University of Dhaka in 1958 and started banking carrier in the same year with National Bank of Pakistan. 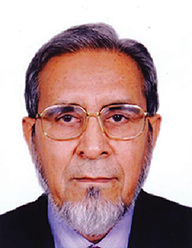 Mr. Huq was former Vice-Chairman of Islami Bank Bangladesh Limited. 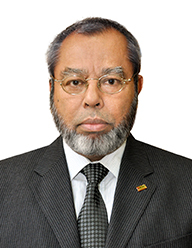 He was the first Executive President (CEO) of the Islami Bank Bangladesh Limited, Social Islami Bank Limited and Islamic Finance and Investment Limited. 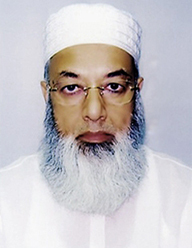 He is Chairman of Executive Committee of the Central Shariah Board for Islamic Banks in Bangladesh . Mr. A.K.M. Nurul Fazal Bulbul born in 1st November, 1960 in a respectable Muslim family at Dhaka. He is a national-renowned philanthropist. He completed his Bachelor of Commerce (Honors) and Masters in Business Management from the University of Dhaka in 1985. Mr. Bulbul was the Founder Sponsor Director of EXIM Bank Ltd. (1999-2012), Founder Consultant, Sunlife Insurance Co. Ltd. (2000-‘17), Ex Chairman, Board Audit Committee (2003-11), EXIM Bank Ltd., Ex-Advisor, AKIJ Group (1995-2000), Navana Group (2002-04), Abdul Monem Limited Group (2001-2017), Padma-Sonali Group (1991-2000), Swedish Motors (Volvo) (1996-2002). He was the Director of FBCCI (2008-12) & SAARC Chamber, IICI, OIC Business Forum, Infrastructure Investment Facilitation Co. Ltd. (IIFC) (Owned by Ministry of Finance, GOB) since 2010. Independent Director, Sonali Paper and Board Mills Ltd. (2015). He is the Chairman of Finance Committee of Bangladesh Olympic Association and President, Bangladesh Handball Federation since 2008. He is also Vice Chairman, Central Depository Bangladesh Ltd. (CDBL), Central Counterparties (CCPB) Formation Board-2017 and Islamic Banks Consultative Forum (IBCF) since 2015. Mr. Md. Sayedur Rahman is a Vice Chairman of Social Islami Bank Limited and one of the renowned and successful industrialist and businessman of high stature of the country. He is a prominent figure in Garments industry. Currently he is the Managing Director of eminent M/S. Lodestar Garments Ltd., M/S. Mid-Asia Fashions Ltd. 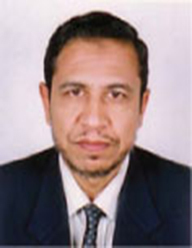 He has been representing Social Islami Bank Limited to Bangladesh Association of Banks (BAB) since long. He is also a Philanthropist and engaged in various social activities in the Country. He is also discharging his responsibilities as a member of Executive Committee (EC) of the Bank. Mr. Md. Fariduddin Ahmed born in Bakergonj, Barisal in a respectable Muslim family. He joined Islami Bank Bangladesh Limited (IBBL), the first Islamic Bank of Bangladesh, on the first day of its establishment on 30th March, 1983 as Head of Operations. Mr. Farid was former managing director and CEO of Islami Bank Bangladesh Ltd., one of the largest Privet bank of Bangladesh and Export Import Bank of Bangladesh Limited. He was also associated with the establishment of an Islamic Bank named ‘Jaiz Bank’ in Nigeria. He was the Head of Islamic Banking of Arab Bangladesh Bank Limited. Mr. Farid is the Director of the ICB Islamic Bank Ltd and Member of Shariah Supervisory Committee of the several Islamic Banks and Conventional Banks having Islamic Branches and Windows. Awarded Nawab Sir Salimullah gold medal and Desbandhu Chittaranjan Das gold medal for remarkable contribution towards establishment, growth and development of Islamic Banking. Bestowed with the ‘Central Shariah Board Islamic Banking Award’ for outstanding contribution towards establishment, growth and development of Islamic Banking. Mr. Md. Abdur Rahman Sarker was born on 30th November in the year 1948 in a respectable Muslim family at Munshigonj, Bangladesh. He completed his B.A. (Hons.) & M.A in Economics from the University of Rajshahi, Bangladesh in 1973 (in the session 1967-1970 & 1970-1971) and started his carrier as Lecturer of Economic at Bhangla Degree College, Faridpur in the year 1973. He joined Janata Bank as Probationary Officer on November 5, 1973 through Banker’s Recruitment Committee of Bangladesh Bank and worked there for 12 years (1973 -1985). Subsequently he joined National Bank Ltd. on May 19, 1985 and worked there for 25 years (1985-2010) as an executive holding important position at various level and elevated lastly as Managing Director & CEO for three years (2007-2010). 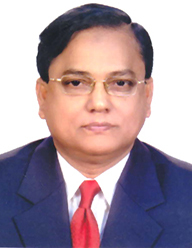 He also worked as Managing Director and CEO of Shahjalal Islami Bank Ltd. for three years (2010-2013) and retired from the Banking services acquiring of 40 years experience as he attained at the age of 65 years on 30 November 2013. Presently working as Honorary Secretary General of Bangladesh Association of Banks (BAB), the apex body of Bangladeshi private commercial banks. Mr. Nurul Islam Khalifa born in February 05, 1954 in a respectable Muslim family at Barisal, Bangladesh. He completed his BA from Dhaka University in 1976 and MA (Islamic History & Culture) from National University. 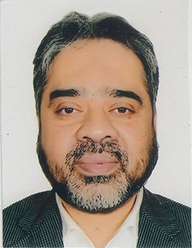 Mr. Khalifa was former Director General of Islami Bank Training & Research Academy of Islami Bank Bangladesh Limited and he was also former Deputy Managing Director of Islami Bank Bangladesh Limited. At present he is the Principal of Al-Arafah Training & Research Institute of Al-Arafah Islami Bank limited, one of the largest bank of Bangladesh.